Aghios Pandeleimon church at Pigi (close to Kastelli). Byzantine church of Aghios Pandeleimon. The main town of the region Pedhiadha is Kastelli – or since there are more than one on Crete Kastelli Pedhiadhos – is really an enjoyable location to stay for a short time. 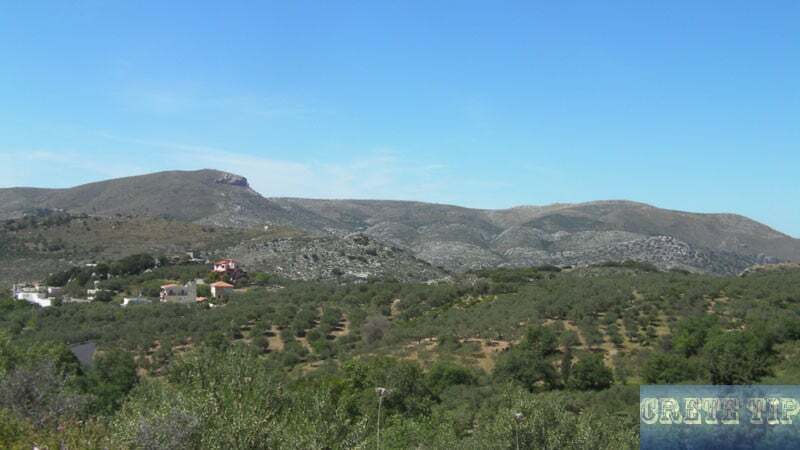 Mainly an agricultural heart whose wealth stems from the olive groves and vineyards scattered over the neighboring slopes, the village goes a unique way, generally untouched by the tourist places on the shoreline. Nevertheless there is a solid taverna as well as quiet places to stay, faraway from the madding mass. On the other hand the center of attention is the neighboring landscapes, where turning streets are traced by aged plane and oak trees. The Byzantine church of Aghios Pandeleimon is below 2 miles north of Kastelli, off the road to Hersonisos, signed to ‘Paradise Tavern. The church is not in the present location of Pigi (what means ‘source’), which is on the west side of the road. From May until October the church is daily open from 9am – 3pm and entrance is free. 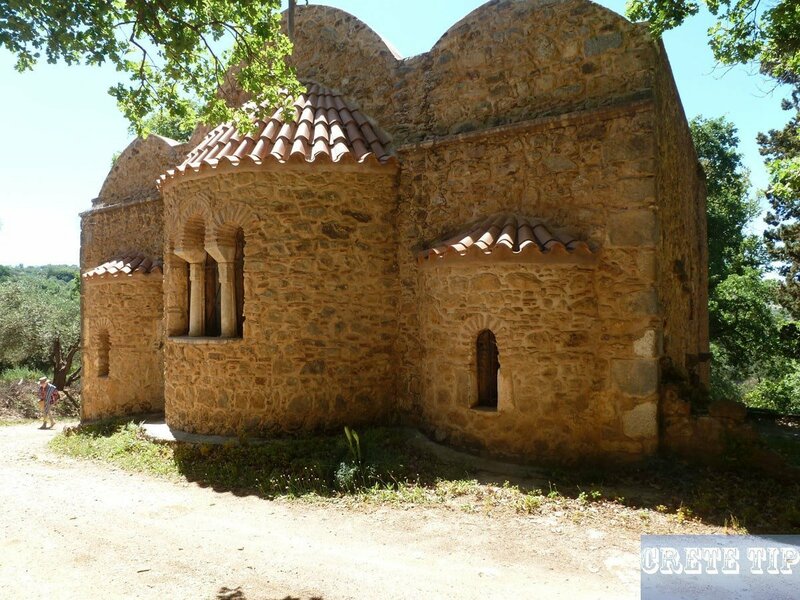 For those who choose to discover just one of many churches in this region, make sure it is Aghios Pandeleimon, a sizable building placed in a grove of planes and oaks around a spring which was almost certainly a sanctuary in olden days. Ancient building materials in the south outer wall. Inside the church are magnificent despite the fact weathered frescoes of the soldier saints (on the northern section) as well as an uncommon picture of Aghia Anna nursing the child Mary. The framework of the church, most likely dating from the beginning 13th century, is fascinating for the way it contains elements of the very first 10th century basilica as well as incorporates as building materials several more aged pieces, possibly removed from Lyttos. 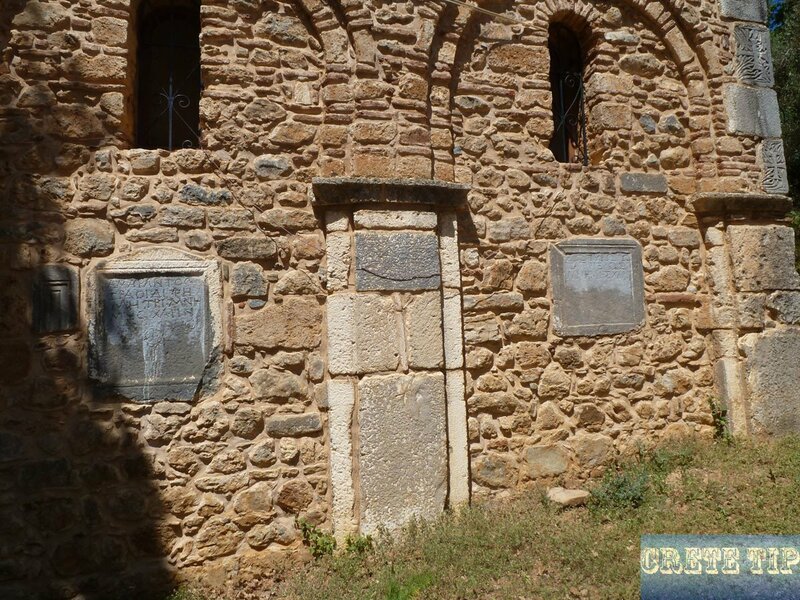 Above all, on the south outer wall elements of ancient and early Christian constructions are visible, including a marble slab with a Greek inscription and parts of grave stones from the Roman period. Ancient Corinthian capitals as a pillar inside the church. The interior is – particularly striking – a pillar in the north aisle, which is assembled from four Corinthian capitals. The aqueduct that once carried drinking water to the ancient town goes near by, and you could notice pieces of it as you move around. This pleasant place also housing the little and simple Paradise Taverna, operated by the traditional and friendly Nikolaides family (Catherine, surprising 80 years old, English skills). Arriving at Aghios Pandeleimon church. South outer wall with antique and early Christian building materials. Lots of the neighborhoods around Kastelli possess frescoed middle ages churches. Watch out for signs when you travel around; they are in most cases well worth trying to find just by the trip off the main roads, even though you may cannot visit it from inside. Besides the marvelous Aghios Pandeleimon, among the most prominent is the 15th century Isodhia Theotokon, having great Byzantine frescoes, close to the village of Sklaverohori just a few miles west of Kastelli. The key is made available from the building having a vine trellis approximately 50 yards in front of the church, on the right side. A few 4 miles further more west, down a side route outside Apostoli, Moni Angarathou is one more lovely spot. Even though the monastery’s church dates from the 19th century, the nearby complexes date largely from the 16th century and incorporate an idyllic white-walled courtyard with cypresses, orange trees, and palms. One more church is Ayios Yeoryios at Ksidhas (confusingly also called Lyttos), roughly 3km east of Kastelli, which includes frescoes dated by an inscription to 1321. Unfortunately the Paradise Tavern was closed In august/sptember 2018. In Kastelli we where told that Catherina died.